Some documents are so personal and definitive that the law requires you to prove your identify to a neutral third party before signing them. Many states put a will and last testament in this category, since it constitutes a directive that goes into effect only after the maker is no longer available to answer questions. 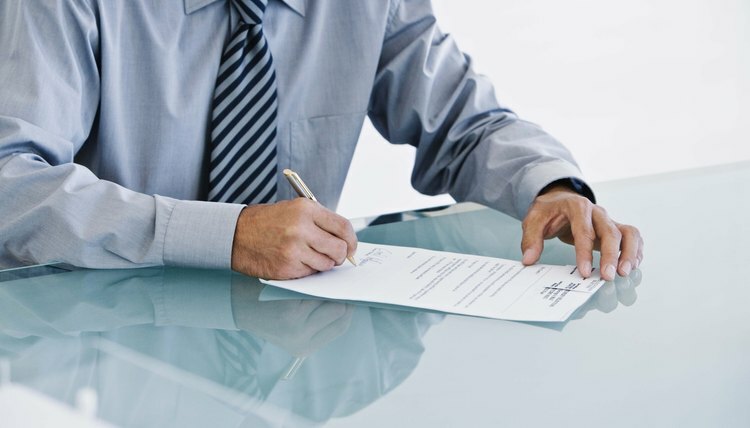 A notary public is a professional authorized by a state to verify your signature. Locate a notary public in your area. Call to set up a convenient appointment to get your will notarized. Ask for and write down the office address and amount of the notary fee. NotaryPublic.com offers an online list of notaries in your state (see Resources). Take your last will and testament and government-issued identification to the notary office during business hours. Passports, driver's license or state-issued identification cards work well. Provide your identification, then sign the document while the notary is watching. After reviewing your identification, the notary will affix a notarial certificate which attests to the execution of the document. He will also note the facts of the execution in his records. Pay the notary fee. Notary fees vary among states, with $10 being typical as of November 2010.